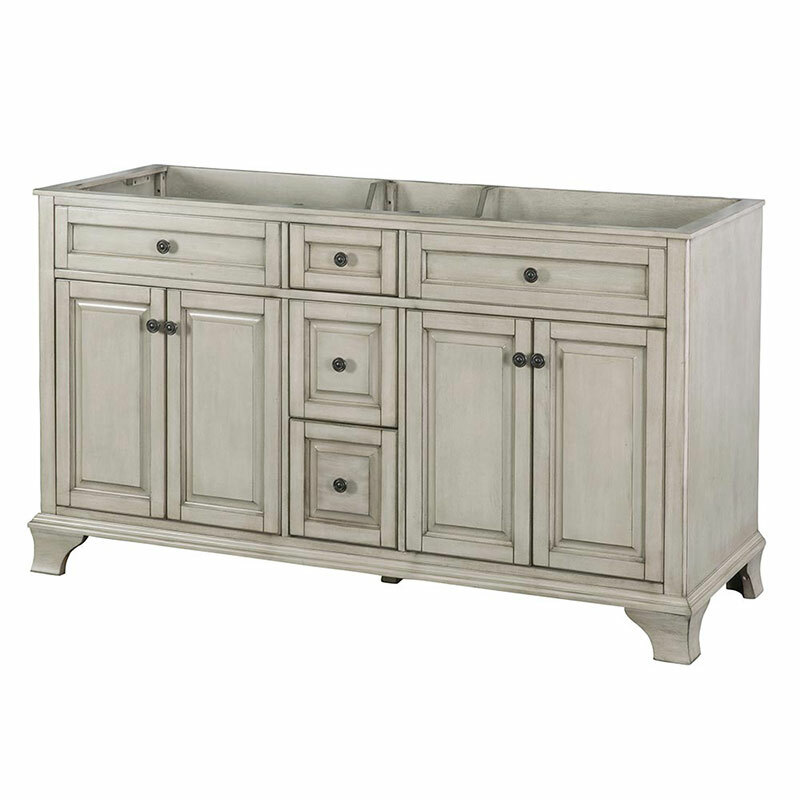 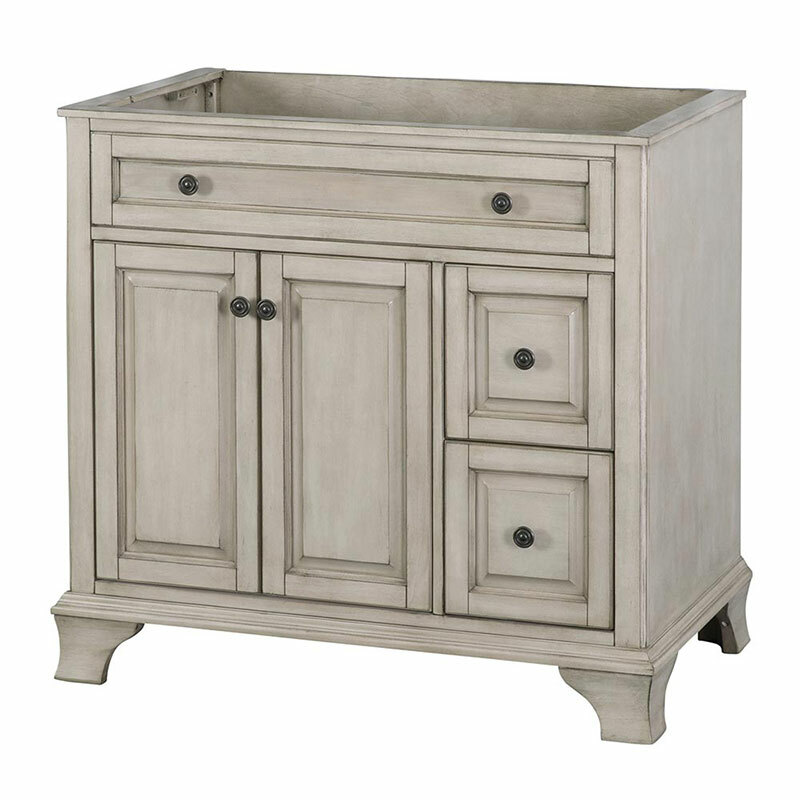 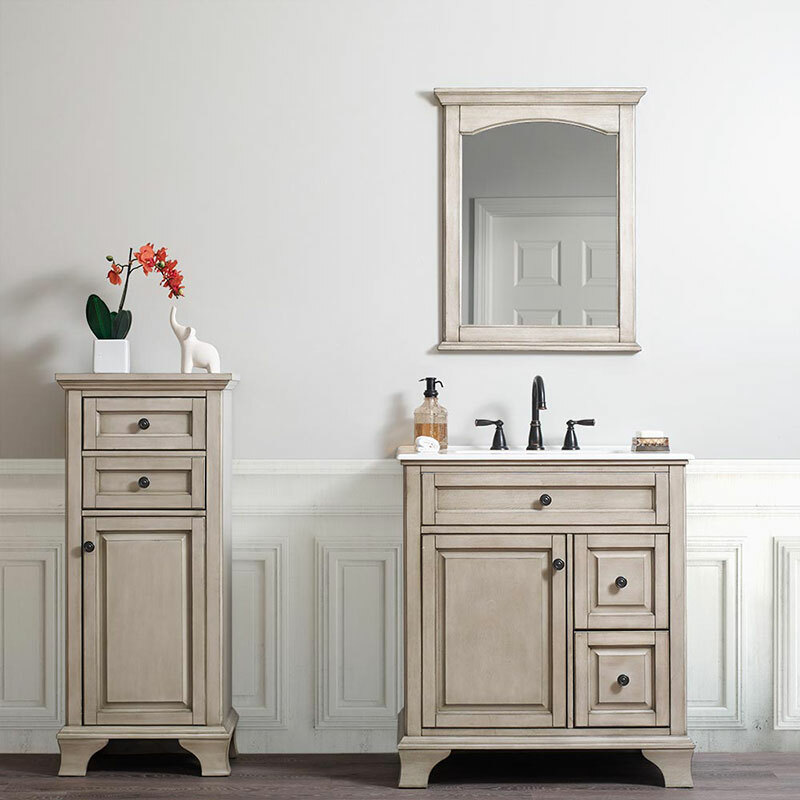 The charming Corsicana Vanity will make your bathroom update a breeze. 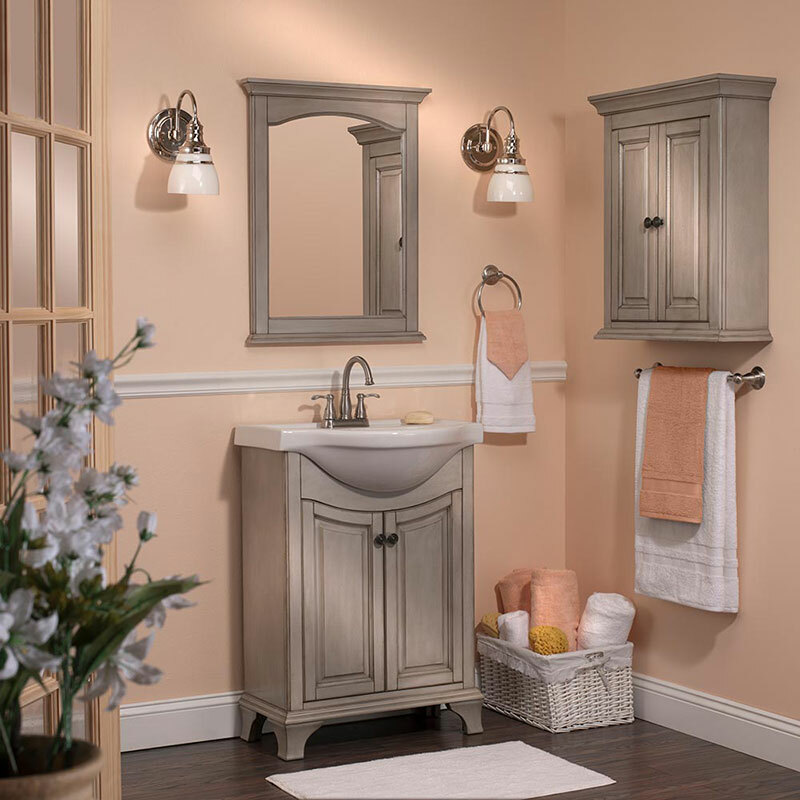 Corsicana features lovely design elements such as subtly sculpted arched doors, decorative molding, antique pewter door hardware and an interior adjustable shelf for flexible storage space. 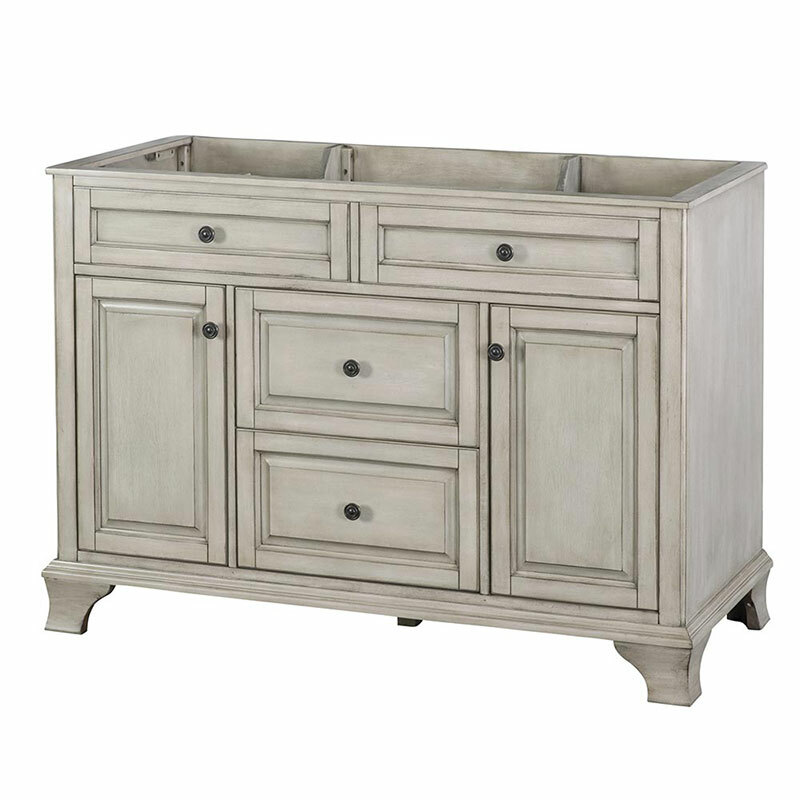 Two full extension, soft close drawers with dovetail construction provide ample storage space for all of your smaller essentials. 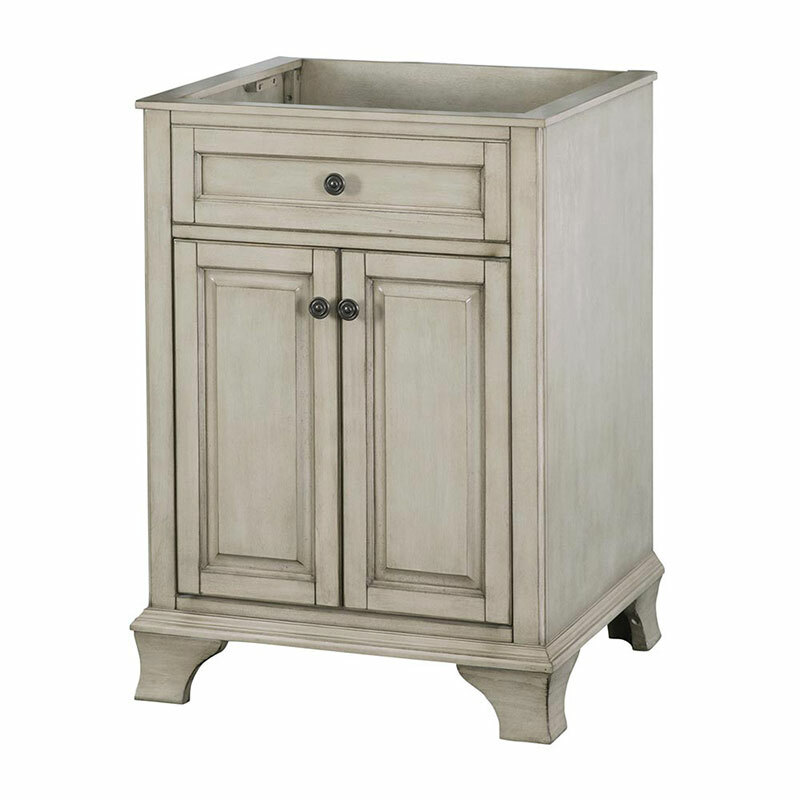 Available in antique white, and antique grey, this vanity will bring tremendous impact to your bathroom.